New footage and the launch gameplay trailer. 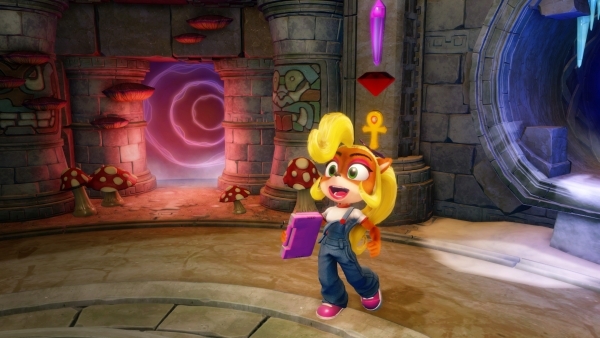 Coco Bandicoot, the smart and spirit little sister of Crash Bandicoot, will be playable for the first time throughout all three games in Crash Bandicoot N. Sane Trilogy, Activision announced. Crash Bandicoot N. Sane Trilogy includes high-definition remakes of Crash Banidcoot, Crash Bandicoot 2: Cortex Strikes Back, and Crash Bandicoot 3: Warped. If you’re attending E3 2017 this week, you can play as both Crash and Coco by visiting the “N. Sane Crash Expreience” in the lobby in the South Hall. Crash Bandicoot N. Sane Trilogy is due out for PlayStation 4 on June 30. Watch gameplay of Coco, as well as the launch gameplay trailer below. View a new set of screenshots featuring Coco at the gallery.